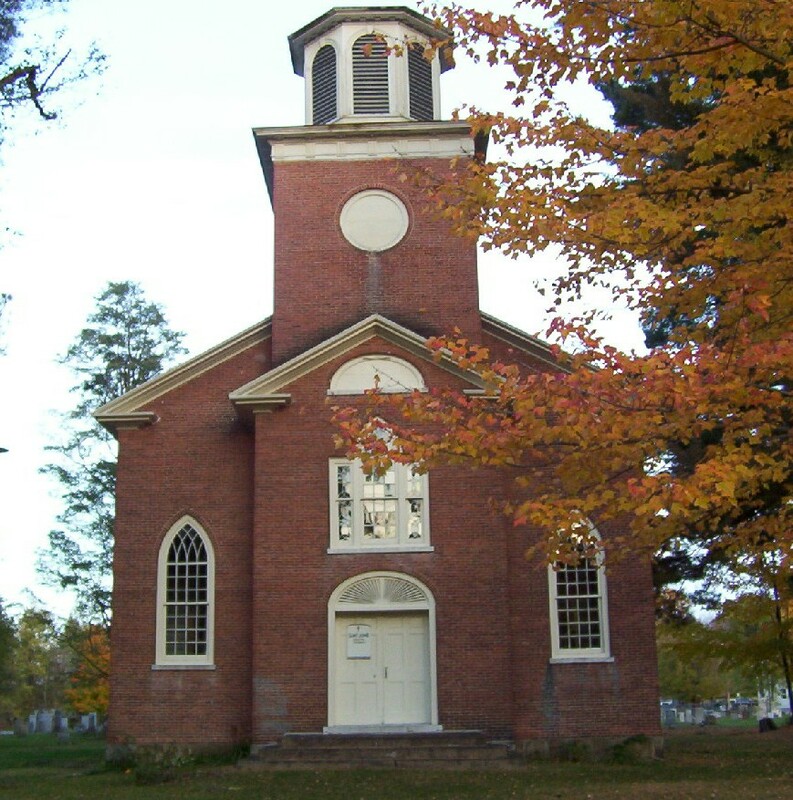 St. John's Church was built in 1829-1830 by Joel Whitney of Enosburg. In 1835, the chancel and vestry room were added through the generosity of S. W. and S. S. Keys. In 1836, the church was presented with a bell, a font of Italian marble, a silver communion service and books for the alter, and lecturn and pulpit by the Hon. Heman Allen, a son of Heber Allen, nephew of Ethan and adopted son of Ira. The organ was built by Henry Erben of New York City in 1836. It is designed to make the most of just three stops: an 8' Stopped Diapason, a 4' Principal, and an 8' Trumpet. The building is conventional classic in form yet gothic in its pointed windows. The palladian window over the front door is a variation of many others found in Vermont. The church was consecrated and dedicated to St. John the Apostle by Bishop John H. Hopkins, Bishop of Vermont, on May 21, 1834. St. John's Church had a resident rector until 1896 when it joined with Holy Trinity Church, Swanton. This historical church is presently used for weddings, Evensong services and concerts in the summer. Fr. Rob Spainhour at Holy Trinity Church in Swanton is now faithfully watching over the church and sees to any events or concerns. He can be contacted to schedule events at 802-868-7185. Directions: From Swanton take Rte. 78E 4.3 miles to right onto Highgate Road/Rte. 207 for about a half mile, the church is on the left around a small park. From St. Albans take Rte. 7 to the interstate access exit 20, turn onto Rte. 207N for about seven miles to the church on the right of a small park.